Cancer causing foods can only make you sick if you eat too much it frequently. They are risk factors for tumor growth in your colon, breasts, prostate, stomach and even esophagus. The list of acidic foods to avoid is quite long and contains so many of what you might be accustomed to eating all your life. 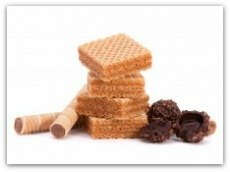 They are delicious, yes, but they can be what's causing you to get sick of other life-threatening diseases like diabetes and heart ailments. Have you looked at what your family just ate? Knowing what is acidic on your family's plate is your best bet on disease prevention. Red meat is either beef, lamb or pork. It contains a high level of saturated fats. It can increase your risk for the colorectal, stomach, liver and esophageal cancers. High consumption of red meat alone is already a major factor in what's causing polyps and tumors to start in your colon. If this acidic food is a major part of your meals everyday, then your risk is increased by 25%. Red meat becomes more unhealthy and acidic when it is processed into ham, bacon, sausage and salami. Should you totally eliminate it? If you're not thinking of becoming a vegetarian, there's no need to completely remove it from your diet. But try to avoid having it daily. Eat it sparingly especially if you know you are at risk for heart disease and tumor growth. cooking oils such as palm, vegetable and palm kernel. These oils are unhealthy and acidic so try to avoid using them when cooking. Instead, use olive oil. Always choose the best quality olive oils which have many health benefits. 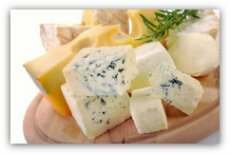 It is recommended that you avoid saturated fats because they will be causing harm to your cells. High-fat diets may lead to tumor growth in your pancreas. Consuming a lot of saturated fats contribute to obesity. Obesity plays a major role in causing the development of invasive tumors in the breasts. Try to avoid dairy products which come from livestock fed with corn, soy and wheat. Eggs from hens fed with corn and soy beans are also on the list of acidic foods to avoid. Why? They contain high levels of Omega 6 fats and absolutely zero Omega 3s. Too much Omega 6 fats in your body is one of the factors causing inflammation. Chronic inflammation can lead to tumor development and can serve as nourishment for cancerous cells. Organic eggs and dairy products from livestock and hens grown and fed organically are free from harmful residues of pesticides and hormones. They are also rich in Omega 3s which are healthy fats. Unfortunately, the list of sugary drinks and food that are available in the market and you and your family should avoid is long. Soda and powdered juice drinks are some of them. Why avoid them? When you consume too much sugar, your body produces too much insulin. Cancerous cells thrive and grow faster with high level of insulin. Otto Heinrich Warburg, a German biologist, discovered that the "metabolism of malignant tumors largely depends on sugar consumption". Cakes and pastries are also examples of sugary foods that are unhealthy and acidic. They are definitely not on the list of healthy eating plans. it weakens your immune system causing its ability to protect you from viruses and bacteria to malfunction. Energy-dense foods are high in fats, added sugar and low in fiber. The list includes hamburgers, fried chicken, pizzas, chips and biscuits. They are acidic and unhealthy. They heighten inflammation in the area where there are already cancer cells causing them to grow more out of control. If you consume these cancer causing foods frequently and in large portions, you have a greater risk for both obesity and cancer. A food is something you can eat but not necessarily something that can benefit your body. There are healthy or alkaline foods which do your body good and there are unhealthy and acidic ones that are causing your body to deteriorate. It is a matter of choice. Often, you choose unhealthy or acidic foods because of unhealthy eating habits you may not be aware of. Also, when you are under so much stress, you tend to eat more of these cancer causing foods. Although the relation between cancer and stress is not well-established, many experts believe being stressed makes your body secrete more cortisol. Too much of this hormone isn't normal. It harms your immune system and causes inflammation inside your body. Bear in mind that prevention of almost a third of cancer cases in the world is possible. The disease is primarily a result of unhealthy lifestyle factors such as dismissing the importance of exercise and favoring a diet of cancer causing foods. The danger goes up if you have a weak immune system. 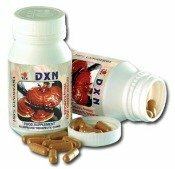 Please do yourself a favor and take supplements such as ganoderma extract.